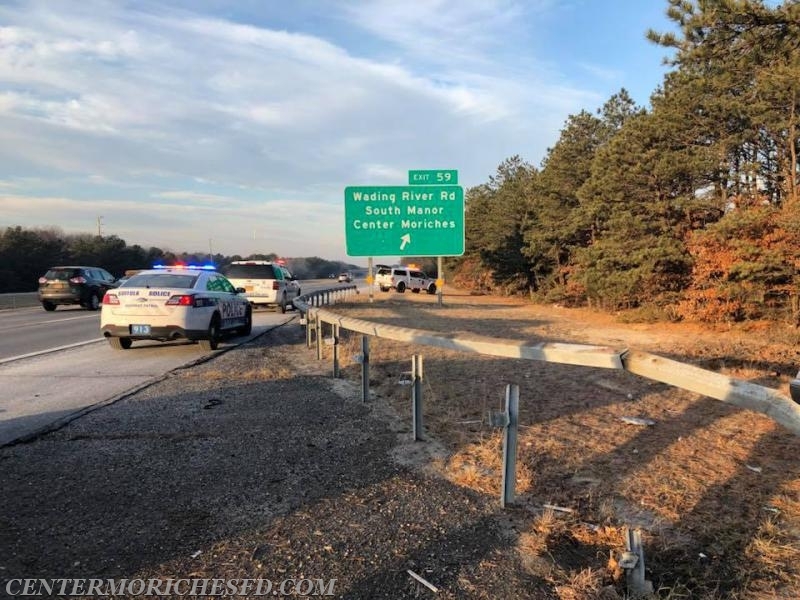 Just before 8am Center Moriches Firefighters were requested to the scene of an auto accident with injuries west bound on Sunrise Highway at exit 59, Wading River Road. 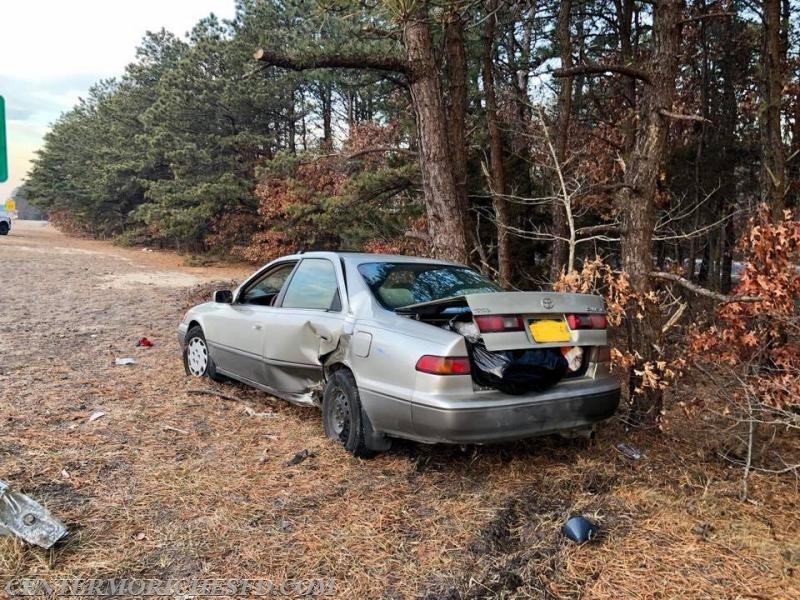 Emergency responders found a single vehicle had struck a guard rail then ended into the trees off the shoulder of the road. While firefighters worked to secure the vehicle EMT’s and Paramedics treated the injured driver. 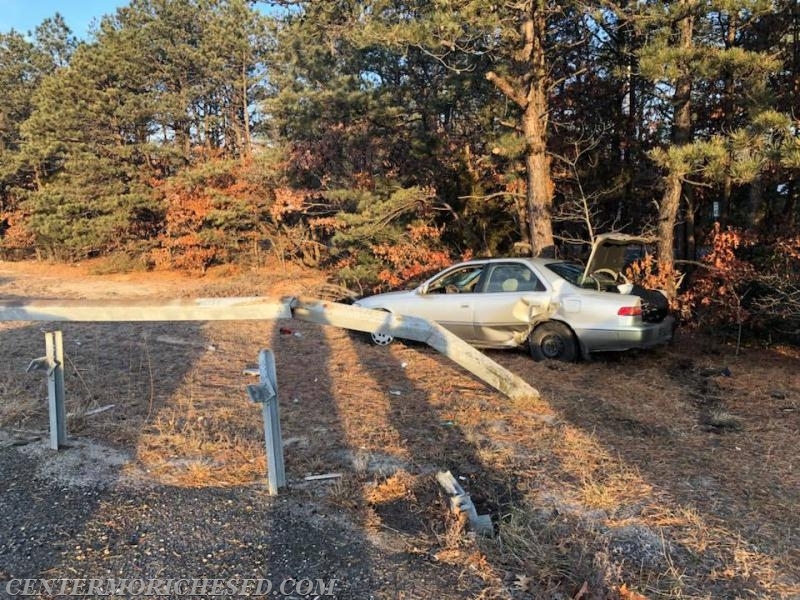 The driver was transported to a local hospital by Center Moriches FD ambulance with minor injuries for further evaluation.